Borrowers usually receive lower interest rates and there are fewer restrictions than at other financial institutions. Borrowing at First Abilene FCU is easy, practical, and economical! We offer both unsecured and secured loans. An unsecured loan requires only your signature as collateral. A secured loan requires tangible collateral, such as a car or boat as security. Loans are made in accordance with policies established by the member-elected board of directors and are approved based on credit history, collateral, and your ability to repay the loan. For more information about consumer loan pre-approval, please contact First Abilene FCU’s Consumer Loan Department. First Abilene FCU offers unsecured personal loans using only your good name as collateral. 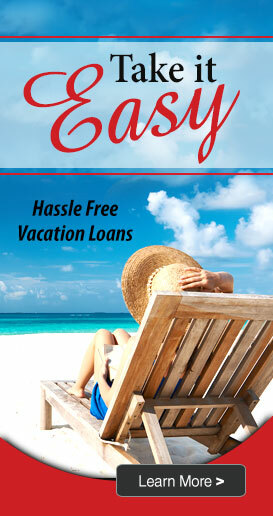 Loan amounts range from $200.00 to $5,000.00+. Features include competitive variable rates, discount points, generous repayment terms, and no hidden costs. At First Abilene FCU you can use the balance, or a portion of the balance, of your share (savings) account or your term share certificate (CD) as collateral for a loan. These interest rates are among the lowest we offer! Secured loans are a great way to re-establish a credit history or for young borrowers to establish good credit. Don’t put that summer vacation on your credit card, get a low interest vacation loan with up to 12 months to pay it back.